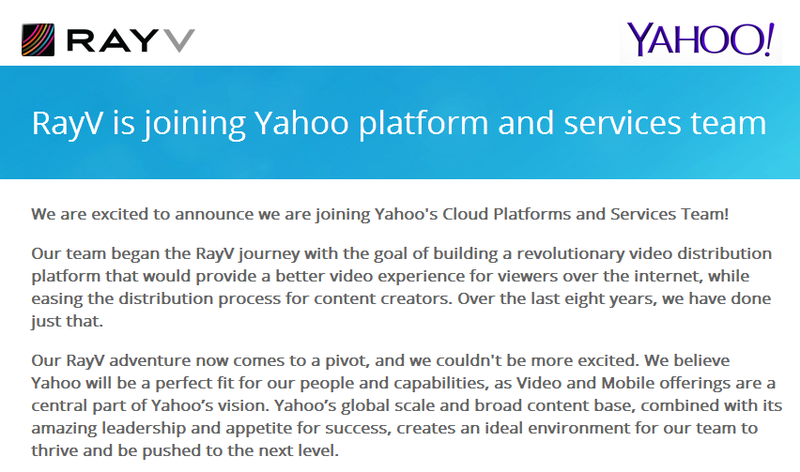 A video streaming startup RayV has been acquired by Yahoo to enhance the quality of mobile content sharing. It also boost the opportunities of Web-based video platform. Since two months Marissa Mayer has been planning to buy the Israeli firm as it prepares for the launch of its Web-based video platform in near future. It will be similar to YouTube but with only high-quality and popular video content that will be selected and approved by Yahoo itself where authorship and account would be verified. Yahoo has been buying the small companies since 1 to 2 years for improving its mobile and video offerings to the world.